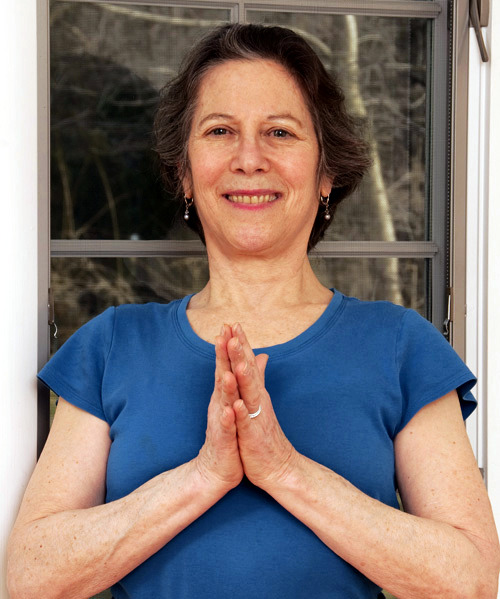 Experienced,Certified Iyengar Yoga teacher since 1995 teaches small personalized classes in Scarsdale New York( Westchester County) and Greenwich , Connecticut ( Fairfield County) Beyond physical fitness, awareness/concentration/ meditation and strength equanimity , experience life to its fullest and most Generous. Certified Iyengar Yoga teacher, teaching yoga since 1995. Nancy loves sharing a yoga practice which encourages people to wake to life cultivating joy, acceptance and friendliness to themselves and others. Certified in Yamuna Body Rolling in 2005. Worked as a dance therapist for N.Y.C. Board of Education and various treatment centers in N.Y.C. Studied and practiced meditation with Tibetan Buddhist lama and community of Chogyam Trungpa Rinpoche in the mid-70s. your life lessons are all so invaluable. You are such a solid anchor in a chaotic world. Thank you from the bottom of my heart." One gains moral and emotional strength by perfecting friendliness and other virtues (compassion, joy, equanimity) towards one and all.